As any reader of the classics will know, musical accomplishment was valued in upper class Georgian and Victorian households. Sons and daughters of the family were taught to perform to entertain each other and to display their refinements. By the prosperous days of the 1880’s music-making was also becoming a major source of entertainment for more ordinary folk. Cheap sheet music was available and many parlours had a pianoforte around which the family would gather to listen, perform and enjoy popular music. And of course, although only some people could play well, most could join in the singing. As interest in music increased, people began to gather together to form specialist musical clubs. There were Glee Clubs singing popular songs, Barber Shop Choirs specialising in “a cappella” and with the increase in musical knowledge, societies for the performance of more classical choral works began to be formed. Very soon there was a choir of 40 or 50 voices, and the first conductor was Mr. Robert Turner. Initially rehearsals were held at the Plough Inn, but as numbers increased they moved to the more spacious accommodation at the Mechanics’ Institute, Werneth. For the next couple of years the gentlemen held weekly rehearsals and performances were given to subscribing members only. Then in 1886 the Society gave its first public performance at the Town Hall, Oldham in aid of the Oldham Infirmary. In 1890 Robert Jackson, organist of St. Peter’s Church and famous for his tune to “While Shepherds Watched their Flocks by Night”, became Conductor. Under his baton the choir prospered and became famous beyond the Oldham area, winning prizes at many Competitive Choral Festivals. As the popularity of the group grew it was decided to admit ladies to the Society and the Society was renamed “The Werneth Vocal Society”. In 1896 regular public performances began and indeed in the winter of that year three such concerts were held with great success. The success of this and subsequent concert seasons at the Unity Hall in central Oldham, prompted a further change of name, and in 1897 The Werneth Vocal Society became “The Oldham Musical Society”. Harry Brookes, the Society’s accompanist, took over from Robert Jackson upon his retirement about 1906. 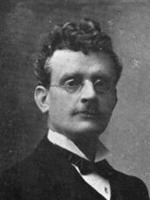 Brookes became a Doctor of Music in 1914, and under his direction the Society continued to prosper until war terminated its activities in 1916. Brookes died a few years later. In the early 1920s the choir was revived for joint concerts with the Oldham Orchestral Society under its conductor Walter Mudie. 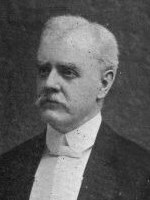 Ernest Craig, the leader of the Orchestra, was appointed Chorus Master. However, this was a short-lived arrangement because Ernest Craig left to go to Crompton. 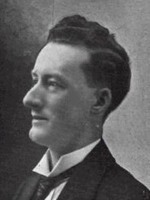 Shortly afterwards Oldham Musical Society decided to become an independent organisation once again, and persuaded Ernest Craig to return as its Musical Director. In 1925 activities were fully resumed with the promotion of an annual season of three Subscription Concerts. Thus was established a regular pattern to last for over 40 years – an Autumn Concert with orchestra, a Christmas “Messiah”, again with orchestra, and a Spring Concert. During this period the Society was able to bring to Oldham some of the most outstanding artists of the British Concert platform – Heddle Nash, Peter Pears, Constance Shacklock, Isobel Baillie, Janet Baker and Kathleen Ferrier, to name but a few. The Society managed to maintain activities throughout World War II, holding special fund raising concerts or events such as “War Weapons Week”. In November 1940, during the dark days of the Blitz, a Sunday afternoon performance of “Merrie England” with Anne Ziegler and Webster Booth was so quickly sold out that it had to be repeated in the evening (see here for more details). “Messiah” concerts were usually given in theatres on a Sunday afternoon to accommodate the demand for seats, and in the mid-1940s there were some repeat performances elsewhere, often with different soloists. In Oldham, the Empire, the Odeon and the Gaumont were used, but the Society’s regular venue was the King St. Co-op Hall until stage alterations made it unsuitable. Thereafter, Hill Stores Co-op Hall was used until that closed down. 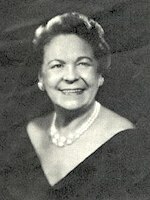 Ernest Craig occupied the position of Musical Director for 27 years until ill-health forced his retirement in 1952. A conductor’s rostrum, still in use today, was presented to the Society by his family, as a memorial to his great love of and long service to music in Oldham. Ernest’s son Ronald was Chairman of the Society for many years during the seventies and eighties. 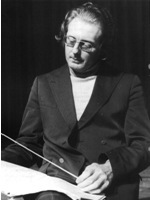 Fred Brough, sometime leader of the BBC Northern Orchestra and who had led the orchestra for the Society for a number of years, succeded Ernest Craig as conductor. Following his retirement, there came a difficult period of instability. The Musical Directorship passed through the hands of Alan Cowell, James Wild and T.J. Longstaff in a few short years, and there were frequent changes in the Society’s administration. Then as now there were difficulties in finding suitable concert venues. Unlike many of the surrounding towns, Oldham did not have a Civic Hall. The J.T. Hilton Hall was used for performances for a time, then Hathershaw School, Breezehill School, and Oldham Parish Church. Royton Assembly Hall was tried but found to be difficult acoustically. In 1971 John Bethell came to the Society as its Musical Director and considerably extended the repertoire and number of concerts given each season. He encouraged the Society to cooperate with other choirs both from around the Manchester area and with the Manx Festival chorus, of which he was also the conductor. During this time the choir appeared on BBC television. In 1978, the Society decided to change its name to a more appropriate one – Oldham Choral Society. The next year, the Queen Elizabeth Hall, was completed, and the Society was proud to be invited to close the inaugural programme with a “Proms” Concert. It was a great occasion, a fitting celebration for the opening of Oldham’s long-awaited Civic Hall. In 1984, the Society’s centenary year, Dame Eva Turner, who was born in Werneth graciously consented to become the Society’s first Patron, and there is a message from her in the centenary programme. 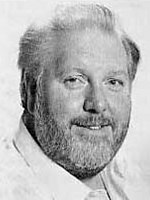 Following her death in 1990, Jeffery Lawton, the renowned Oldham Tenor, became Patron and his support and enthusiasm have been of great benefit to the Choir. 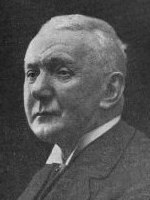 Under John Bethell, the Society began to organise choral workshops in which other singers joined in presenting concerts in various locations throughout the North West. Members of the choir also took part in various foreigh concert tours organised by Mr Bethell, notably to Finland, New York and Latour de France. Both these traditions continue to this day. Arts Council Lottery funding enabled the Society to commission a new choral work. The piece, “A Distant Horizon”, by Cheshire-based composer David Ellis, was written specifically for the Society and the contemporary brass ensemble, “Otis Brass”. The composition brought an exciting, innovative fusion of two distinct musical traditions, those of choral singing and brass band playing. The first performance was given at a Gala Concert at Oldham 6th Form College on the 22nd March 1998. 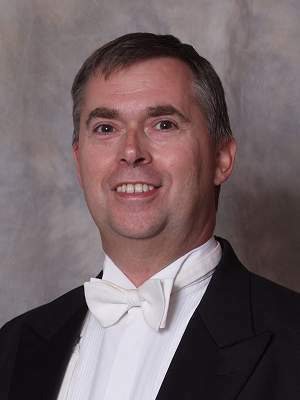 In 1999, John Bethell MBE stood down as musical director after 27 years service with the Society. He accepted the post of Conductor Emeritus and conducted the Society in May 2000 in a performance of Elgar’s The Apostles. He was awarded the MBE in the 2001 New Years Honours List for services to Music. John Bethell’s successor as Musical Director was Nigel Wilkinson, a music teacher from Burnley whose energy and vocal gifts were invaluable in inspiring rehearsals by example. Under him, the membership has increased to well over 100 singers, and the Society has enjoyed 10 years of accomplished performances. In 2000, the “Millennium Festival Awards for All” body provided funding for Oldham Choral Society to commission a new work “A Millennium Song for All”, a composition which aimed to bring together different elements of the musical community in celebration of 2000 years of Christianity. The piece by composer Peter Young was written specifically for the Society, children’s school choir and brass group. At Easter 2007, the Society was invited to join the City of Waterford Brass Band in celebration of the Band’s 75th Anniversary season. A choir of approximately 80 singers travelled with friends and family to Waterford, Ireland for 3 joint concerts. A similar expedition, to perform “Elijah” and other works took place in 2011. In November 2007, the Society performed the Verdi Requiem at Manchester Cathedral before a packed audience which included the Italian Consul. The Verdi Requiem was also performed in Chester in September 2008 as part of the Society’s continuing series of Choral workshops. 2009 was the Society’s 125th anniversary year, and a number of events including a special service in the Parish Church and an exhibition in Gallery Oldham were organised to mark it. The membership has continued to expand, and in 2013, with numbers approaching 150, the choir moved to a larger rehearsal venue in the newly refurbished Chadderton Town Hall.